An online discussion thread can provide a great opportunity for interaction that can potentially be lost in an online college setting, providing students the opportunity to voice their opinion in a comfortable and safe place. But, sometimes instructors lose sight of the point of these assignments, depriving students the true benefit of discussion boards. Here are some best practices that can help an online instructor design discussion threads that will improve student involvement and enthusiasm when interacting on discussion boards. This document provides some examples and best practices from real teachers. Address the need for a discussion thread: In Hew, Cheung, and Ling Ng’s (2010) student contribution in asynchronous online discussion, they review factors leading to limited student contribution and various guidelines to improve online discussion threads. They noted some best practices in ensuring that discussion threads are not just busy work. Many of these ideas I discuss in greater detail below. Select discussion topics directly related to students’ main curriculum. Make online discussion activity mandatory or give incentives (e.g. grades). Provide added value in the discussion threads, like learning resources such as websites directly related to the main curriculum. Give students clear expectations of the purpose of the online discussion as well as instructor expectations. 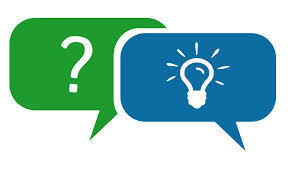 Be specific in what you want from the student; many times new online/hybrid teachers have an idea in mind, and just post a simple question in the discussion thread. We must always keep the student in mind; you are the subject matter expert, but your students are not. Here is an example from Aultman College instructor Kathy Hawker’s NRS402 Informatics for Clinical Judgment class. Please note the great level of detail she provided her students, the due date and examples of what she expects in an answer and in a peer response. This helps us hold our students to a higher standard. Discuss the benefits of using standardized terminologies within the EHR and what standardized terminology would be most beneficial in the exchange of data? 1. Discuss the topic above in your posting. Your post should be at least 250 words with at least one scholarly reference. The reference should follow the end of your discussion in APA format. Tie the discussion thread directly to the material; make sure to align the discussion thread to the course objectives and unit objectives. This should help the students understand why they are doing the assignment, and not interpret the assignment as just “busy work”. Here is an example from Aultman College instructor Charity Smith’s Human Growth and Development Class. In Chapter 3, we learn about the risks inherent to early maturation in young girls. Several ideas are presented, in terms of potential outcomes, including an increased risk for smoking/drinking, depression, eating disorders, and early sexual experiences/promiscuity. What factors do you believe contribute to these potential outcomes? Given that young girls are reaching menarche earlier than in previous generations, what types of prevention programs would you create in order to address these issues? Remember: Initial responses must be 100 words and you must reply to at least two of your classmates’ posts (50 words each). Make it interesting; choose a discussion that you want to have. Although your textbook may have some good questions, try to spice up your discussion questions. These are college students, make them think! Here is an example from Aultman College instructor Mike Polnik’s Medical Ethics course. A 33-year-old male swallows 30 antidepressants and tells his wife, “I want to die.” She takes him to the local hospital’s emergency department where he is treated and released that same evening. In the hospital parking lot he pushes a security guard and is arrested and taken into custody. In the county jail a nurse places the man on suicide watch. The following evening, while still in custody, a psychologist speaks to the man for five minutes, then releases him from suicide watch. The man is returned to his cell and two hours later he hangs himself. Does the emergency department have liability for discharging a suicidal patient without further treatment? Does the psychologist have liability for releasing the patient from suicide watch after a five-minute consult? The psychologist is and “independent contractor” of the jail. Is the county liable for his actions? The Milgram experiment on obedience to authority figures was a series of social psychology experiments conducted by Yale University psychologist Stanley Milgram, which measured the willingness of study participants to obey an authority figure who instructed them to perform acts that conflicted with their personal conscience. Why do you think the participants listened to the authority figure and continued to shock an innocent man? In the original Milgram experiments, over 65% of participants went all the way to 450 volts, in the above 2009 version of the Milgram experiment, 75% of participants went to 450 volts. Why do you think there was such a sizeable increase in people willing to listen to authority in the more current version of the experiment? Do you feel that this experiment explains authority relationships in the medical field? Why or why not? Make the assignment worth it! If the point value seems like the students can blow it off…they will. I’ve seen many instructors make the discussions a percentage of their grade, but each thread in the end was only worth five points each; please avoid.